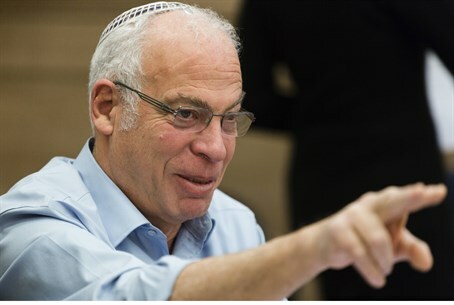 Housing Minister Uri Ariel slammed European Union Foreign Minister Catherine Ashton for supporting the Hamas-Fatah unity deal. Housing Minister Uri Ariel slammed European Union Foreign Minister Catherine Ashton Sunday for supporting the Hamas-Fatah unity deal. “On the eve of Holocaust Martyrs' and Heroes' Memorial Day, she spit in the face of those who fight against terror around the world," he accused. "European support for the deal will encourage Hamas terror, and will ensure that Europe loses it moral authority as a party that can help solve the conflict. In a statement, Ashton said that even if Hamas was considered to be a terror group by the EU itself, negotiations between Israel and the Palestinian Authority must continue. “Negotiations are the best way forward,” she said. “The extensive efforts deployed in recent months must not go to waste. The EU calls on all sides to exercise maximum restraint and to avoid any action which may further undermine peace efforts and the viability of a two-state solution. The fact that President Abbas will remain fully in charge of the negotiation process and have a mandate to negotiate in the name of all Palestinians provides further assurance that the peace negotiations can and must proceed," she added. Wortzman added, however, that if the EU had not learned a lesson, Israel had. “Our lesson is that now, like then, we cannot rely on Europe. Israel will continue to defend its vital security interests against all those who seek to destroy it, with or without Europe's help,” he said. MK Eli Yishai (Shas) said that the EU's support for the Hamas-Fatah deal was, unfortunately, predictable. “Europe's positive reaction to this deal is insulting and upsetting, but expected. Just like 70 years ago, Europe closes its eyes to the dangers that face Jews. Times have changed, but European hypocrisy hasn't,” he added.